To say that Watchmen is a polarizing subject for me would be an understatement akin to stating on occasion grizzly bears can be somewhat irascible. Once upon a time I thought it was good, but over the years my feelings toward the work have grown bitter as Guinness stout. Make no mistake, Alan Moore (yes, I know he’s since had his name taken off the book but my copy still has his name on it) and Dave Gibbons did a solid book, a deconstructionist take on superheroes that at the time was revolutionary and ground-breaking. And DC has never. Let. Us. Forget it. Much like it’s frequent object of comparison, Frank Miller’s The Dark Knight Returns, Watchmen took the superhero comics readership by storm, with darker storylines, mature themes, and questions about morality and philosophy and what it meant to be a hero in a world that wasn’t as simple as the classic Silver Age material the titles were based off of. It was a definite breath of fresh air and helped elevate the medium of comic books in the public eye to the level of Art. The books were both a blessing to DC, and a curse. A blessing in that those books were critical and financial successes that breathed new life into classic characters by examining them at different angles. 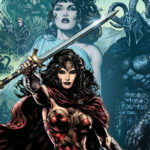 A curse in that the desire for superhero comics to be edgy and thought-provoking inevitably led to the grimdark tone of the books becoming the default setting of the medium for years to come, despite the actual messages of hope found at the conclusion of both books’ respective narratives. I’m not saying you can’t have darker narratives that feature superheroes. Some of my favorite titles of recent years have been explorations of superhero universes with various wicked twists: Irredeemable by Mark Waid, Surviving Megalopolis by Gail Simone and J. Calafiore, or The Mighty by Peter J. Thomasi, Keith Champagne, Chris Samnee, and Peter Snejbjerg. Hell, my absolute favorite deconstructionist take on the genre is Mark Gruenwald and Paul Ryan’s Squadron Supreme, a book that pre-dates both Watchmen and The Dark Knight Returns. But titles like this should serve as departures from the norm, at least in my opinion. Okay, I hear you asking, but what does all this have to do with Doomsday Clock #1? You are getting to that at some point, right? 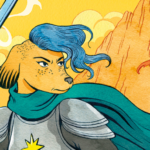 Or would you care to regale us with more tales of how comics ain’t what they used to be? Is that your intention grandfather? Geez, okay. Let’s get into it. 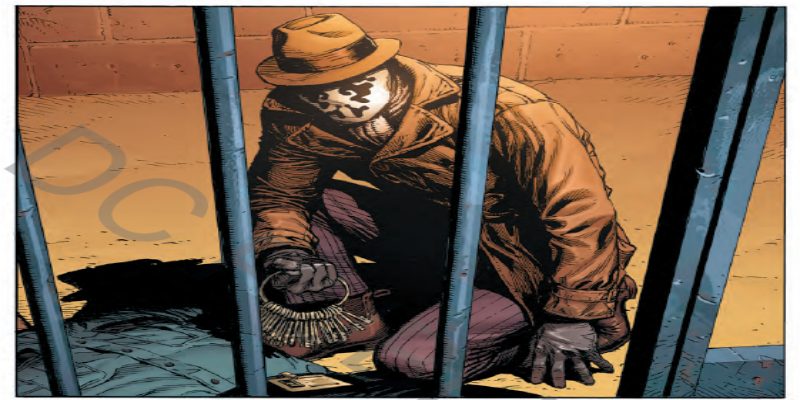 Doomsday Clock #1 is really two stories at once: A sequel to Watchmen and a continuation of the storyline initially set into motion by the events of DC Rebirth. This is a spoiler free zone, so I won’t discuss plot specifics or any of the major revelations of the book, but needless to say things in the Watchmen universe are. . .not great. So much so that a plot is put in motion to find Dr. Manhattan. Of course, readers of Rebirth will know that the good doctor has apparently set up shop in the DC Universe proper, and his meddling was responsible for all the darkness to be found in DC’s New 52 line from a few years prior. With time running out, can the ‘heroes’ of Earth-W(atchmen) find Dr. Manhattan? Will their world end? And what has all this got to do with Superman? I’ll give credit where it’s due: it takes guts to look at a classic like Watchmen and attempt to revisit it. It’d be like a modern-day rock band deciding they’re going to do a sequel to Sgt. Pepper’s. The end result is intriguing, if nothing else. There are guns aplenty hung along the wall from this debut issue alone, not to mention the issue being rife with the same dramatic flourishes and touches of the original Watchmen. What’s interesting about this story is that it knows what you expect–the sequel to Watchmen–and it certainly bases this debut issue in that world. But the twist is that this isn’t a Watchmen story, not really. It’s a meta-textual commentary on the relationship between Watchmen and the DC Universe. Superman’s presence alone is an indicator that while this story might start in a dark place, the possibility for hope remains. I’m going to be very interested in seeing just how Johns and company plan to work this deconstructionist masterpiece up against their reconstruction efforts in DC Rebirth. The art and writing are well done, evoking the spirit of Watchmen right down to the nine-panel grid. Craft went into this work, and it shows. Buy It! 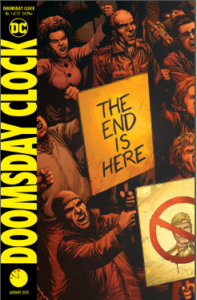 I can understand those who want to sidestep this series and let Watchmen stand on its own, and while I am quite weary of the source material I do have to admit Doomsday Clock #1 is intriguing enough to pique my interest. If you want to get in on the ground floor of an intriguing mystery that seems to be leading toward the face-off between idealism and cynicism, it just might be time to check the Doomsday Clock. 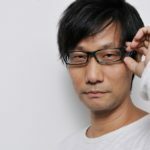 Hideo Kojima Needs a Body!